Everyone loves a day at the beach. There’s something extraordinary about walking on the sand, taking a dip in the water, and smelling the tinge of salt from the fresh ocean breeze. There are very few things that can ruin a perfect day at the beach aside from parking. Whether you are heading to a different part of the island or a beachfront restaurant, it’s an integral part of your beach trip. Nobody wants to see a parking ticket sitting on their car window after a beautiful day at the beach. That’s why we created this handy guide to give you all of the information you need about Isle of Palms beach parking. Lucky for IOP visitors, there is an abundance of parking options all over the island. For more insider tips and ways to plan the perfect beach trip, download our free Isle of Palms Vacation Guide! Where is the Best Beach Parking on Isle of Palms? These parking lots are a couple blocks from Front Beach and provide plenty of spots for guests. The lots are open between 8 a.m and 8 p.m. with a fee of $1 per hour. Purchase your ticket at one of the automated kiosks inside of the lot and place the ticket on your front dash, so it is visible. Failure to make your ticket visible on the dash results in a $25 fine. IOP County Park is close to most of the action along Ocean Boulevard. The parks hours fluctuate depending on the season, and there is a limited amount of spots. Consider carpooling or arriving early in the morning or after 5 p.m. For more information regarding County Park, visit the Charleston County Parks website. These metered parking spaces on Ocean Boulevard are enforced from 8 a.m. to 8 p.m. during beach season between March 1st and October 31st. You can park in any open space and pay the hourly rate of $1.50. Make sure that you put your ticket in your windshield so parking attendants can see it. Tip: Handicapped parking is available at all locations. For a complete map of all Isle of Palms beach parking, check out the interactive Google map. IOP guests are able to park on any right-of-way street between 9 a.m. and 6 p.m. While this parking is free for everyone, make sure that all four car wheels are off the road and that you aren’t blocking any public beach access paths. The City does regulate Isle of Palms beach parking, and you can read more about specific instructions and stipulations on the IOP website. Tip: Take a look at this map of available right-of-way parking on IOP. East Islands Vacation Rentals has everything you need for the perfect beach getaway. 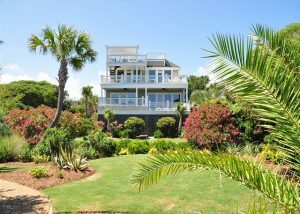 Our accommodations feature large and luxurious houses, including oceanfront rentals, so you don’t have to deal with parking! Our helpful guest services can assist you in planning everything for your trip, from finding a babysitter for a romantic date night to delivering groceries before your arrival. All of our rentals feature top-notch amenities and excellent locations so you can explore everything that IOP and historic Charleston has to offer. Start planning your dream beach escape and check our availability! Don’t forget to request access to our free Vacation Guide today!